Poor Sub. 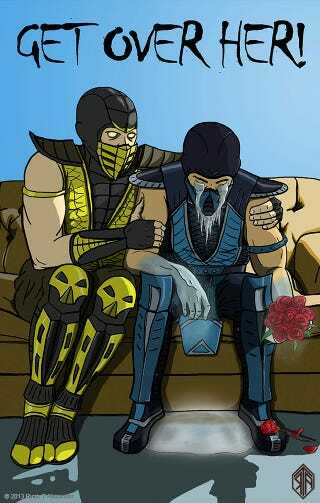 I guess Mileena was only looking for Friendship. This image made the rounds this past week—maybe you saw it on Tumblr, or via Cheezburger. It's by the illustrator and photographer Ryan T. Alexander, whose portfolio you can see here.